Zach Galifianakis (The Hangover) and Amy Adams (Drop Dead Gorgeous, Enchanted) are in talks to star in Fox 2000’s dramedy Town House, which Once director John Carney is to direct. According to Variety, Ridley and Tony Scott will produce through their Fox-based Scott Free banner. The story is loosely based on Tish Cohen’s debut novel of the same name, which centers on an agoraphobic man, who lives with his teenage son in a historic Boston townhouse that he inherited from his rock star father. With royalties from his father’s work dwindling, the man is forced to come to terms with his life. A call girl strikes up a friendship with the man. Doug Wright and Carney adapted the screenplay. Fox 2000 will start production sometime next summer. The film follows Powell, a government employee who decides to cook her way through legendary cook Julia Child’s classic cookbook, “Mastering the Art of French Cooking” in one year’s time out of her small Queens kitchen. Powell blogs her daily experiences, gaining a loyal following along the way. 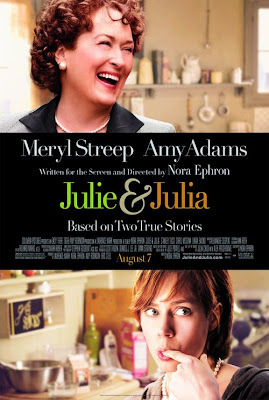 Julie and Julia – Trailer for Meryl Streep and Amy Adams cookery film. Sony has debuted the trailer for Julie & Julia, directed by Nora Ephron, and starring Meryl Streep and Amy Adams who both starred together in Doubt. It is due out on 7th August. What do you reckon? Two excellent actors involved in this. Will you be watching it? Night at the Museum: Battle of the Smithsonian – Darth Vader? The first TV spot introduces more of the film’s characters including its “villains”. Now with added Dark Lord of the Sith and Oscar the Grouch. Ben Stiller and Darth Vader. Not sure where this one is going. My son enjoyed the first Night at the Museam and he is a big Star Wars fan so he’s going to love this. As for me. I like a bit of Star Wars. Stiller is great in some things and not so great in others. This sequel will probably be much like the first. Starring Ben Stiller, Amy Adams, Hank Azaria, Robin Williams, Owen Wilson, Steve Coogan. Rose Lorkorswki (Amy Adams), a former high school cheerleader and now a thirty-something maid, is trying to create a better life for herself and eccentric eight-year-old son Oscar. Her burn-out younger sister Norah still lives at home with their father Joe, who;s on the latest of a life-long string of get-rich-quick schemes. When Rose learns of the big money to be made in the crime scene cleaning and bio-hazard removal business, she and Norah partner up to create their own company. Here are some interviews with the main cast. Be sure to check out the trailer. According to a report commissioned by the U.S. Conference of Catholic Bishops, over four thousand clerics were accused of sexual abuse during the past fifty years. Although approximately thirty percent of these accusations were not investigated because they were unsubstantiated, given the proclivity of the bishops to cover up these incidents, the figures are widely suspected to be underestimated. What may be lost in the discussion of statistics about sexual abuse in the Catholic Church, however, is an understanding of the humanity of the people involved or the complexities of the circumstances. This factor is brought to light in Doubt, John Patrick Shanley’s filmed version of his Tony Award and Pulitzer Prize winning stage play. Based on Shanley’s personal experiences at Catholic School, the film explores not only the issue of possible sexual abuse but conservative versus progressive religious values and how far one can rely on suspicion in the absence of proof. Set in 1964, one year after the Kennedy assassination, Sister Aloysius Beauvier (Meryl Streep) is the dragon lady of St. Nicholas school in the Bronx. A strict taskmaster, she relishes her role as the upholder of tradition, rejecting such modern devices as ballpoint pens and the singing of secular songs at Christmas like Frosty the Snowman which she equates with pagan magic. Under Aloysius is the sweet and innocent Sister James (Amy Adams) whose easy going manner and charming personality is a welcome antidote to her authoritarian superior. The priest at St. Nicholas is Father Flynn (Philip Seymour Hoffman) who is the closest thing to a progressive at the school. He is open to new ideas and the changes initiated by Pope John XXIII, being much more open and relaxed with the children and engaging them in sports and conversation. In his sermons he brings the language of religion into the twentieth century, talking about the positive aspects of doubt and the injurious effects of gossip. “Doubt”, he says, “can be a bond as powerful and sustaining as certainty. When you are lost, you are not alone.” Resentful of the role of women in the Catholic Church and suspicious of Father Flynn, Sister Aloysius assigns Sister James to keep an eye peeled for anything unusual in his conduct. Her fears appear justified when Sister James reports that Father Flynn asked Donald Miller (Joseph Foster II), the school’s only African-American student, to a private conference in the rectory and was seen hanging up the boys undershirt in his locker. Sister James also informs her that there was alcohol on the boy’s breath and that the boy seemed upset when returning to his desk. Although no inappropriate behavior was witnessed, Sister Aloysius suspects wrongdoing and summons the priest to her office on the pretext of discussing the Christmas pageant. She accuses the priest of misconduct with the altar boy who denies that he gave altar wine to the boy or that anything unusual happened. The drama takes more twists and turns, especially when Donald’s mother (Viola Davis) raises Aloysius’ eyebrows by suggesting that, in spite of the allegations, the boy, who is due to enter high school in a few months, may be better off in the hands of the priest than having to face his intolerant and abusive father. Doubt avoids easy answers and challenges us to view inflammatory issues from a broader perspective, embracing the essential mystery of human behavior. The acting in the film is uniformly brilliant. Streep is mesmerizing, even if at times more theatrical than may be necessary for the character. Philip Seymour Hoffman’s performance is more restrained and draws our sympathy with his broader view of church doctrine and display of love and compassion, although his demeanor at the end tantalizingly suggests remorse. What may be the most noteworthy performance, however, is that of Viola Davis whose dialogue with Aloysius is one of the dramatic high points of the film. The issue of whether Father Flynn acted as a friend and mentor to the boy or a sexual partner is ultimately left to the viewer to resolve, though what is beyond doubt is that absolute certainty without considering other points of view is a dead end for all involved. 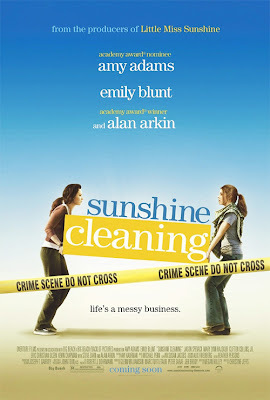 The trailer for Sunshine Cleaning. Rose Lorkorswki (Amy Adams), a former high school cheerleader and now a thirty-something maid, is trying to create a better life for herself and eccentric eight-year-old son Oscar. Her burn-out younger sister Norah still lives at home with their father Joe, who;s on the latest of a life-long string of get-rich-quick schemes. When Rose learns of the big money to be made in the crime scene cleaning and bio-hazard removal business, she and Norah partner up to create their own company. 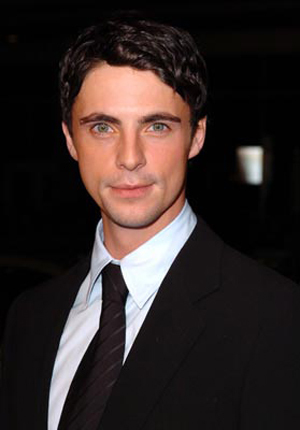 It also stars Emily Blunt, Alan Arkin, and Steve Zahn.